我有多喜歡？我不禁立即買了一箱 Savennieres 最著名主產商 Nicolas Joly 的 1985 Coulee de Serrant。雖然這是 Savennieres 最佳的葡萄酒，還是 1985 年，已經陳年了 25 年，但售價都只是三百五十英鎊，即使未喝，都覺得它真的太抵買了! Yes, GBP350 for the whole case. They are cheaper than Moet NV! Unfortunately, I eventually didn’t buy that case as they are not in good condition. Half of the case of the wine got cork popped up. I ended up buying a case of vintage 2001 at GBP450 a case. Still, I believe this is a bargain! 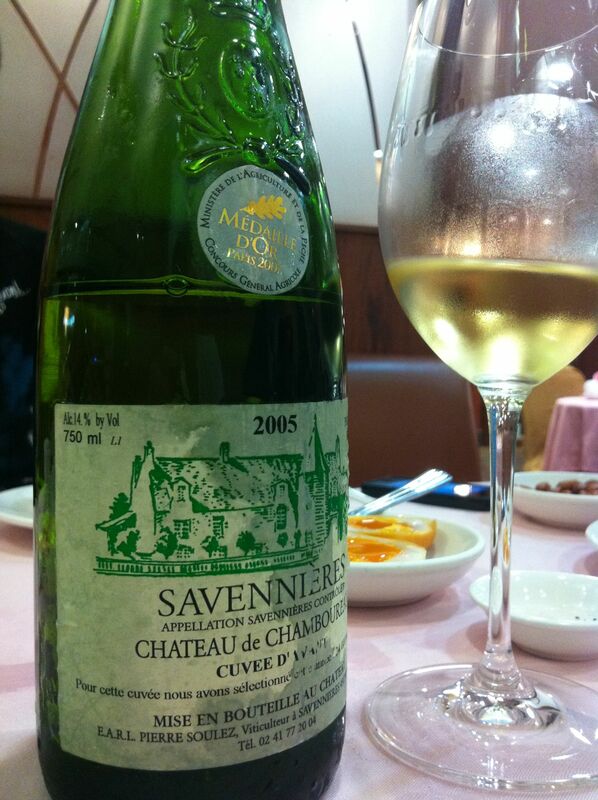 so do you know anywhere in HK may have Savennieres Champagne for sell ? Jacques Selosse has always been quite expensive. I bought them before God Water and they are still over HK$1000. I just checked and found that Selosse Initial is available at HK$1030 in Hong Kong, which seems reasonable. You can checkout http://www.wine-searcher.com to find them. BTW, Savennieres is not champagne, it is still wine. The one I tried has a nose that remind me of Jacques Selosse but it is not a sparkling wine. I guess that Selosse’s like smell is coming from lees ageing with some deliberate oxidation as well as ageing in bottle. Since this is my only bottle of Savnnieres tried, I can’t say this is the style of Savennieres and have to try more. If you are interested to try Savennieres as well, just check out wine-searcher.com. There are a few shops offering this in Hong Kong.